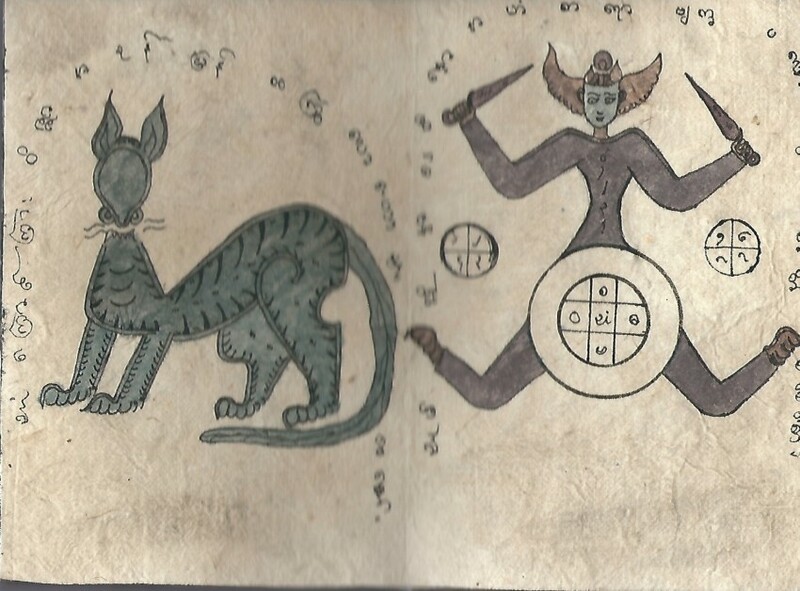 BURMESE PARABAIK (c1888-1900) WITH GODS DEMONS SPELLS ART THERAVARDAN BUDDHIST KING THIBAW 19TH CENTURY. Near fine. Parabaik, (accordion, or concertina-style) book. Four by six inches (closed) but 6 by 58 inches fully opened. 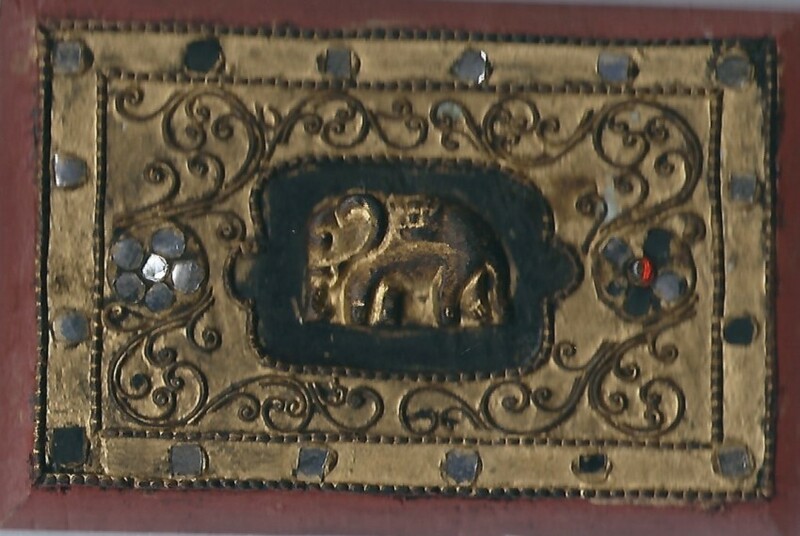 Bound into carved wooden covers with Elephant vignette. 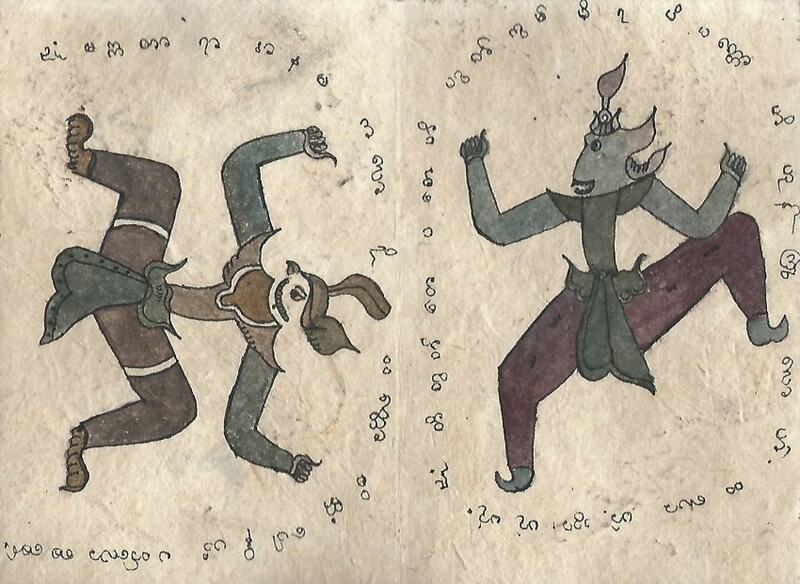 Contains watercolour images of 34 gods/demons with text/spells in Burmese loop writing. 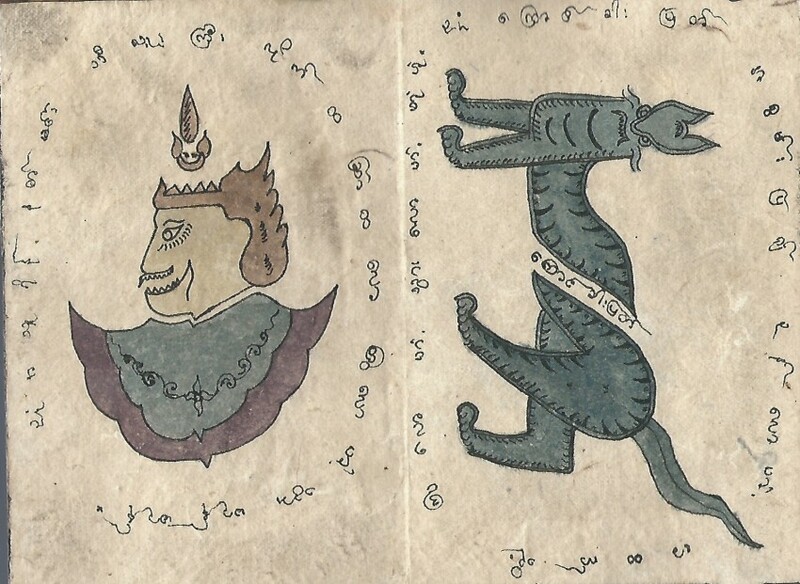 Many of the image types are similar to examples in the "Egyptian Book of the Dead" - the contents of this particular Parabaik (they all seem to be unique) is clearly a derivative of that fused with Buddhist and Hindu polytheism. 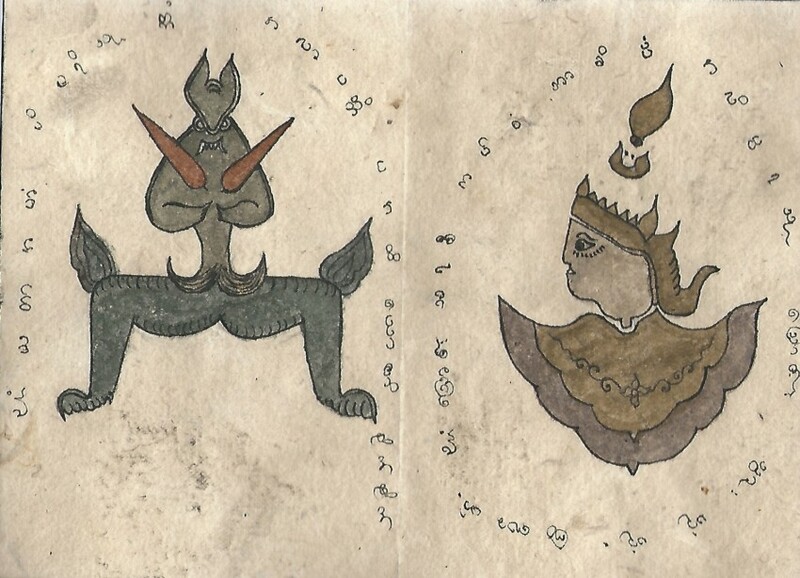 Such books are often called tattooist resources, but these actually reflect an old system of Theravardan magical beliefs pertaining to Burma / Myanmar over 100 years ago. There is no indication of when this book was published. 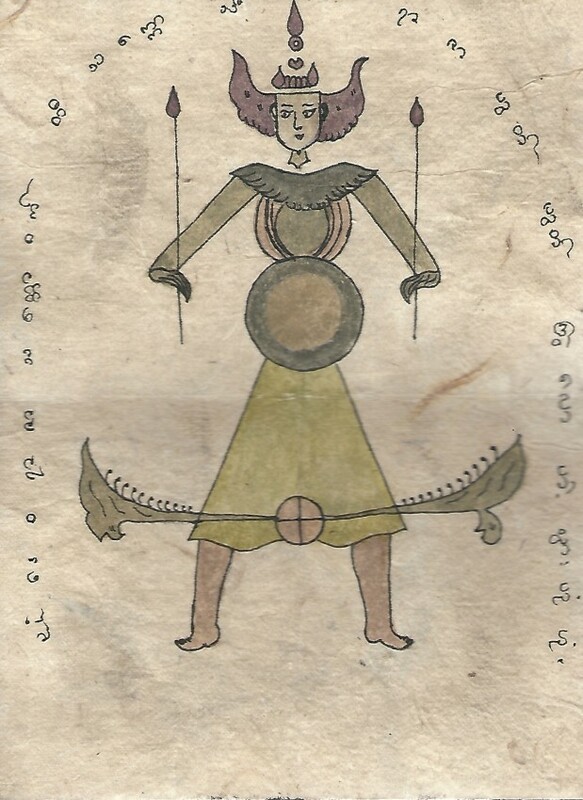 Because the tattoo designs use four colours of varying shades, it is not an early 19th c book, The lacquer work suggests that it is older, probably before the suppression of tattoos by the British in the 1930s, so from 1890 to 1928, perhaps produced for the tourist trade and certainly barely used.